KARACHI: Hum Network has always been a pioneer in setting new benchmarks in the field of the arts and entertainment in Pakistan by introducing new talent, creativity, quality content. Towards this Hum endeavors to bring the best of fashion, style, and glamour once more, and is back with the second edition of Showcase celebrating fashionable luxury formals and ready-to-wear Spring/Summer 2018. 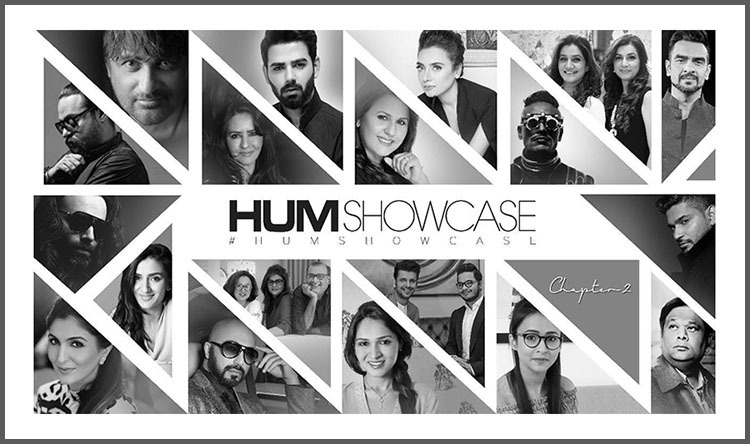 ‘Hum Showcase’ will take place in Karachi on the 28th, 29th, and 30th of March and will feature the work of some of the country’s finest designers. 20 illustrious and creative designers will be showcasing their collections with 32 female models including 15 international models from UK, Sri Lanka, Africa, and Russia along with 16 male models who all will be a part of Showcase 2018. Adnan Pardesy, Chapter 2, Deepak & Fahad, Elan, Fahad Hussayn, Faiza Samee, Hussain Rehar, HSY, Jazib Qamar, Munib Nawaz, Misha Lakhani, Mahgul, Nickie Nina, The Pink Tree Company, Rizwan Beyg, Sania Maskatiya, Unbeatable by Shahla Rahman, Umar Sayeed, Zaheer Abbas and Zonia Anwaar. Nabila (N-Pro and N-Gents) are the official hair and makeup partners, official backstage management will be handled by Production 021, DJ for the event will be Yousaf Kamal, official photographers are the Dragonfly and the PR will be handled by Take-II.